In today’s quarterly earnings statement, Tesla dropped some bad news for those eagerly awaiting the upcoming Model X: The gullwinged crossover won’t hit the streets until the third quarter of 2015, despite earlier plans to begin production by the end of this year. In the earnings statement, Tesla CEO Elon Musk and CFO Deepak Ahuja blame the delay on additional testing. “We recently decided to build in significantly more validation testing time to achieve the best Model X possible,” the statement reads, noting that the all-wheel-drive powertrain announced for the Model S was a developmental stage for the upcoming crossover. With reports of more than 20,000 potential Model X customers putting down deposits, there’s clearly an interest in Tesla’s all-electric crossover with the showiest doors ever bolted to a family hauler. 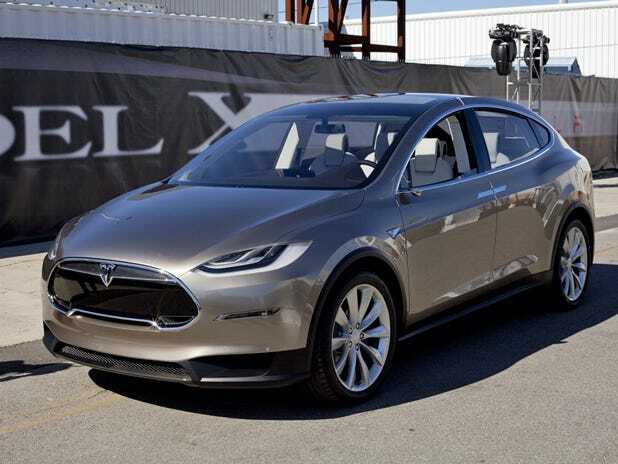 And this isn’t the first delay for the Model X—last time the company announced a revised delivery date, Musk admitted that Tesla was trying to steer crossover customers into a Model S sedan. Musk and Ahuja managed to spin this production delay into a humble self-compliment on Tesla’s culture. “This also is a legitimate criticism of Tesla,” the statement reads. “We prefer to forgo revenue, rather than bring a product to market that does not delight customers. Doing so negatively affects the short term, but positively affects the long term.